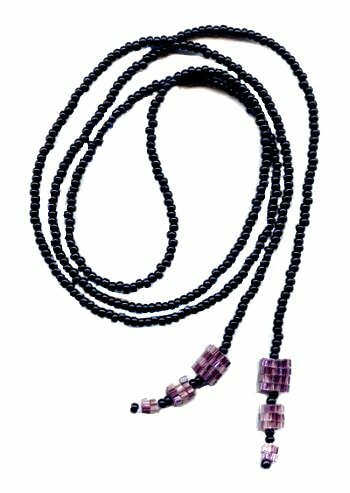 This necklace was an experiment in making my Cubed Cubes Beaded Beads in different sizes and seeing how they could be used. I love the way they add interest to a simple black lariat. I also made a pair of earrings to match.